Wreckeroo Car Wreckers Melbourne a brand name that most Aussies are familiar with. Wreckeroo has changed the behavior and nature of wrecking industry with very professional male and female staff, we make auto parts industry as fun full as possible and competitive prices is just a small picture or Wreckeroo. All of our telephone staff is very well trained with monthly training provided to all of our staff they are able to understand every nuts and bolt of a Vehicle. 3 convenient location for pickup service and fast and free delivery across Australia. Looking for a car part? Or Sell your car to the wreckers we can help you with both of your needs, we not only sell cheap and quality auto parts we also buy old and unwanted cars for Wrecking. 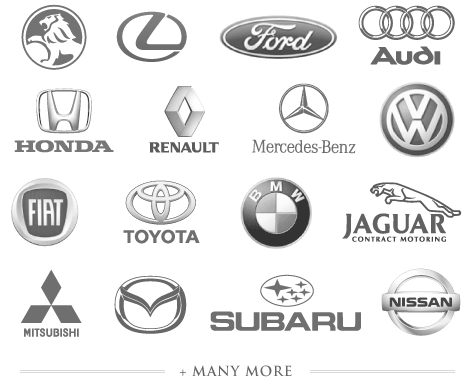 Car Wreckers: What Brands do we wreck? Some of the famous brands we wreck on daily basis are. If you are looking for a wrecking company to buy your car for parts you are at the right place, we buy all makes and models of Cars Trucks Vans and 4x4s, We pay cash for your car up to $15,999 for any Old, Damaged and Unwanted Vehicles. You don’t need to look specifically for your make and model of car wreckers like we at Wreckeroo wreck all makes and models, you no longer need to search for Toyota Wreckers Melbourne or Nissan Wreckers Melbourne because we wreck all Brands under one roof and we know all Brands very well. Do we provide Mechanical Repairs and Engines Installation? Yes, we can help you with all of you Mechanical issues with your Vehicle and regular servicing of your Car or Truck, We have a team of qualified Mechanics who knows your Brand of the car better than any other Wreckers in Melbourne, We provide the following service apart from our Wrecking service. Before we dismantle a wrecked car, we first test to make sure the running gears are in good condition to be sold again to the market like Engine, Transmission and axels Etc. We pull out all the panels safely and securely and plastic wrap it to avoid any scratches or dints. We take out all mechanical parts and Test it, once the Tester approves it we clean it and put in on the shelve for our customers. To give you the peace of mind we sell all of our Parts with 6 Months warranty so that you know that you are dealing with the professionals at wrecking industry. Can I sell my old and damaged car to Wreckeroo Car Wreckers? We have licensed motor car trader it means you are dealing with ASIC regulated company. We have a current Council Permit. We use our own Servers which means your information is kept secure at all times.